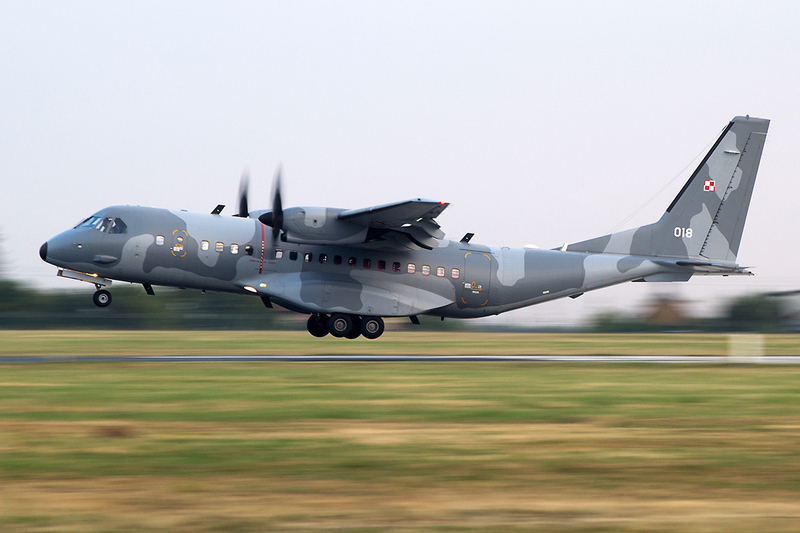 Radom Airport, also known as Radom-Sadków Airport, located in central Poland, has been in operation since the 1920’s. 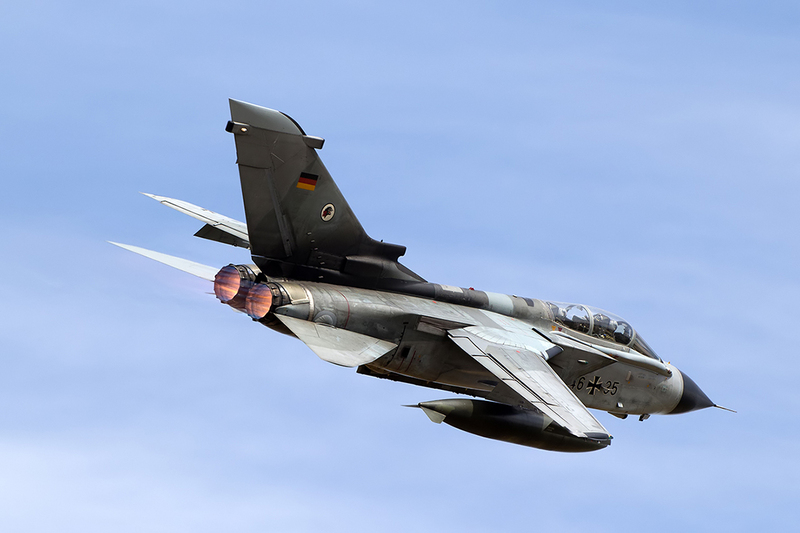 During the Second World War it was used by Luftwaffe in their operations at eastern front. In the 50’s it was significantly expanded with new runways, which after renovations are still in use today (without increasing their parameters). 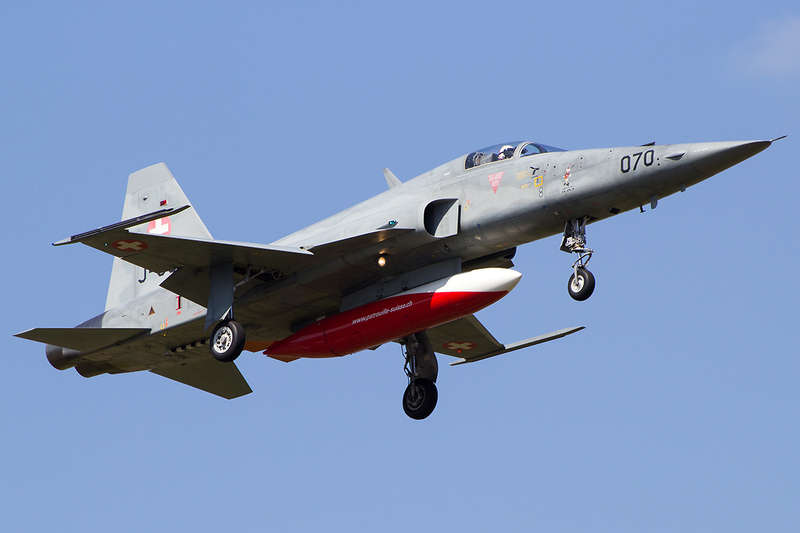 Since that time, Radom is the home airfield for student military pilots from the Academy of Polish Air Force. 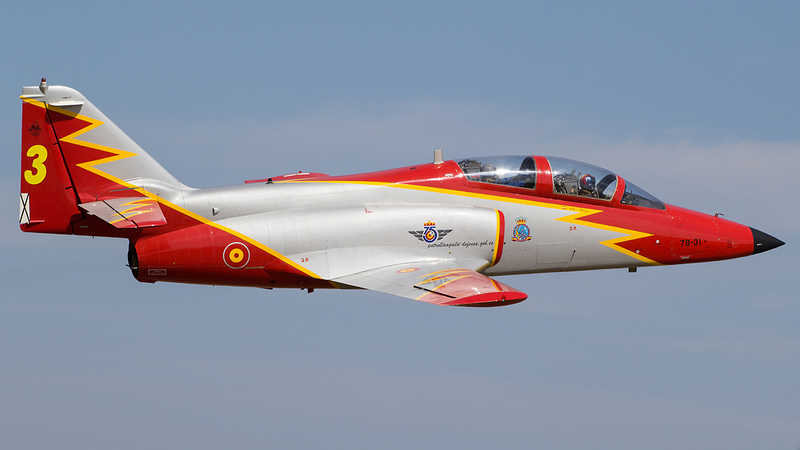 In the beginning, they were here with advanced training aircraft like MiG-15UTI, but later authorities decide to put an elementary jet trainers here, the TS-11 Iskra. Radom was main home base for the Iskra for 30 years, from the mid 60’s to late 90’s when they were moved to nearby Dęblin (a main headquarter of PoAF Academy). 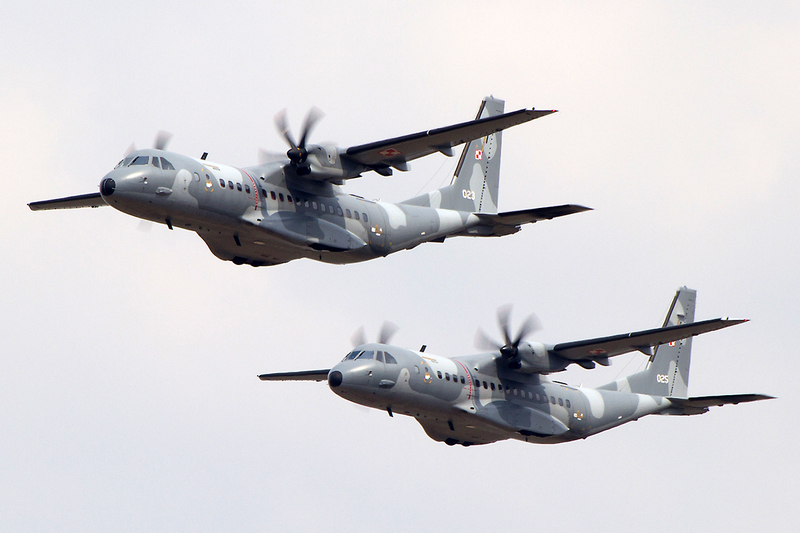 From late 90’s to the present day, there is an elementary training squadron, equipped with the Polish-built turboprop PZL-130 Orlik, some of which are used by official Polish Air Force acrobatic team “Orlik” (the other one is Biało-Czerwone Iskry, now based in Dęblin but was formed and based for first years in Radom). 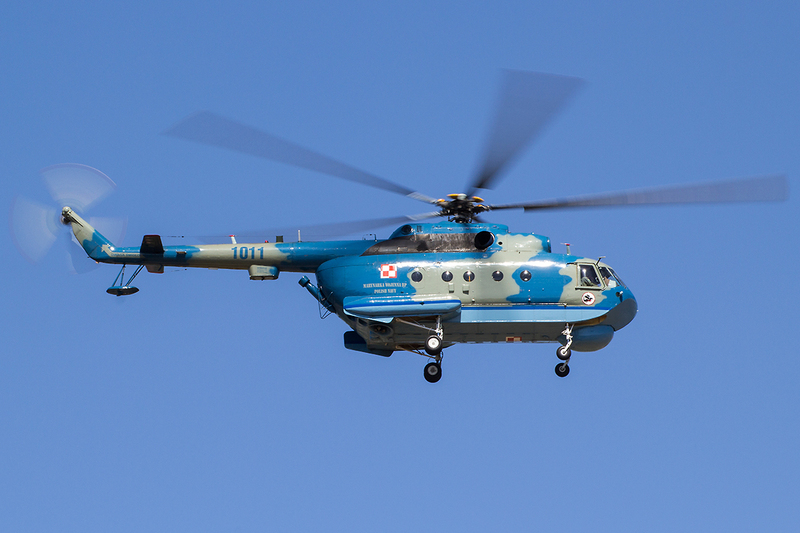 Since 2014, Radom Airport is has also been approved for civilian operations. 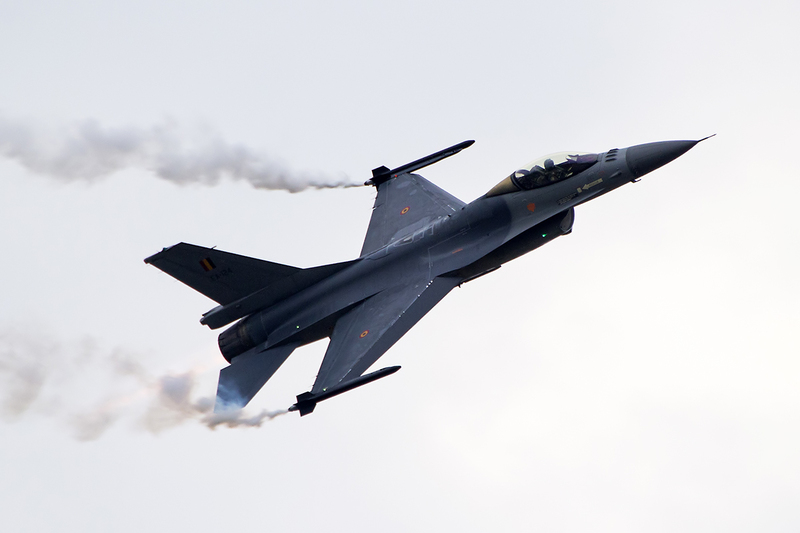 In September 2015, just after the air show took place, regular civilian operations started there. 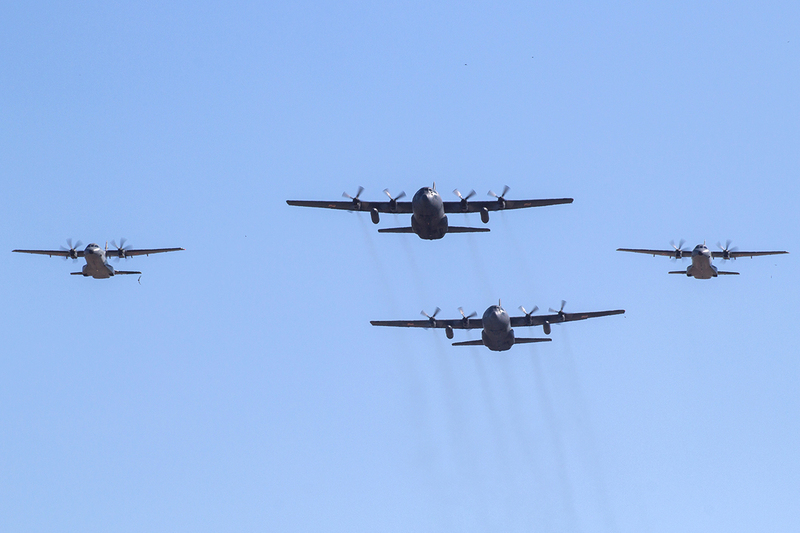 The airfield is now open for both military and civilian operators. 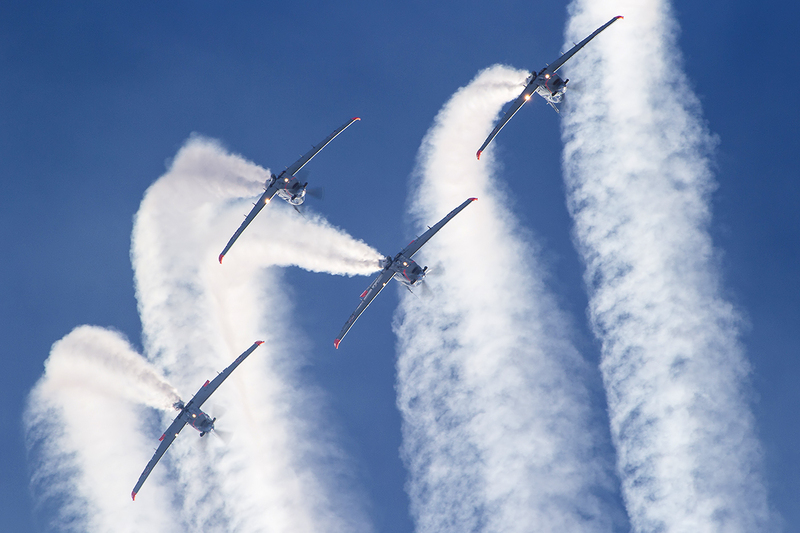 Radom is probably most well-known for its International Air Show, an event which has taken place at Radom Airport since 2000. 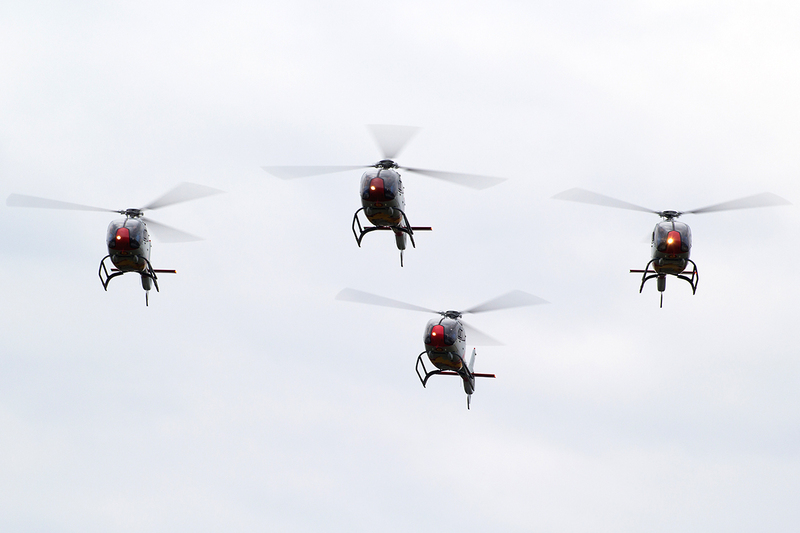 The first 4th editions of the show were held annually to 2003, then the cycle was changed to a biennial one, so 2015 was 10th edition. 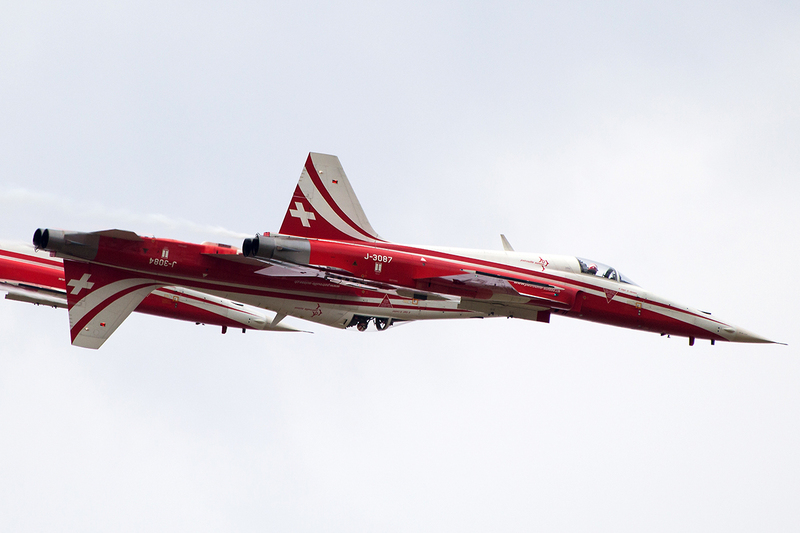 Unfortunately, the 2007 and 2009 shows had a tragic end because of the civilian Zlin-526 crash and Belarusian Su-27’s disaster. 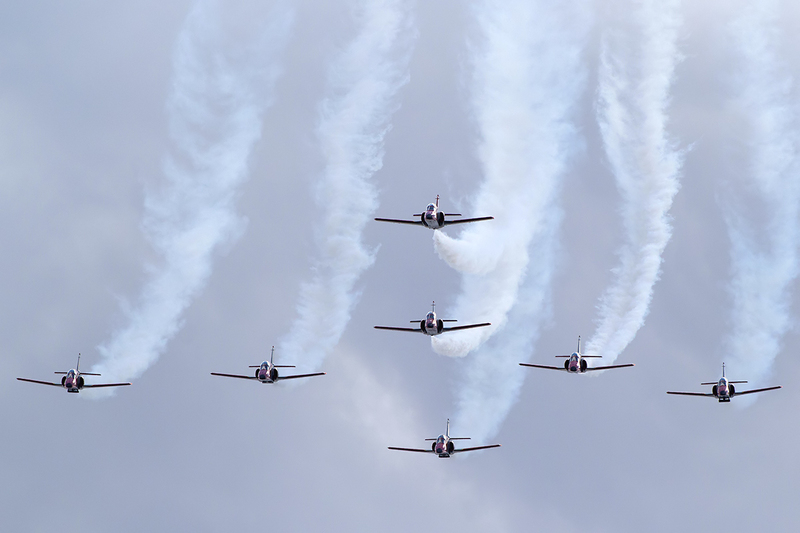 Radom Air Show is organized by the Polish Air Force as their main official event in cooperation with local authorities and civilian aviation authorities. 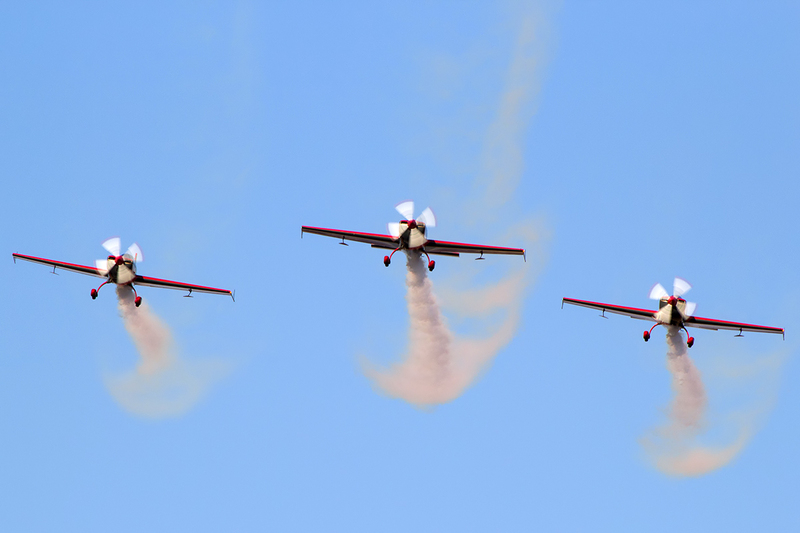 The Radom Air Show takes place on the last weekend of August (with some small exceptions in past years). 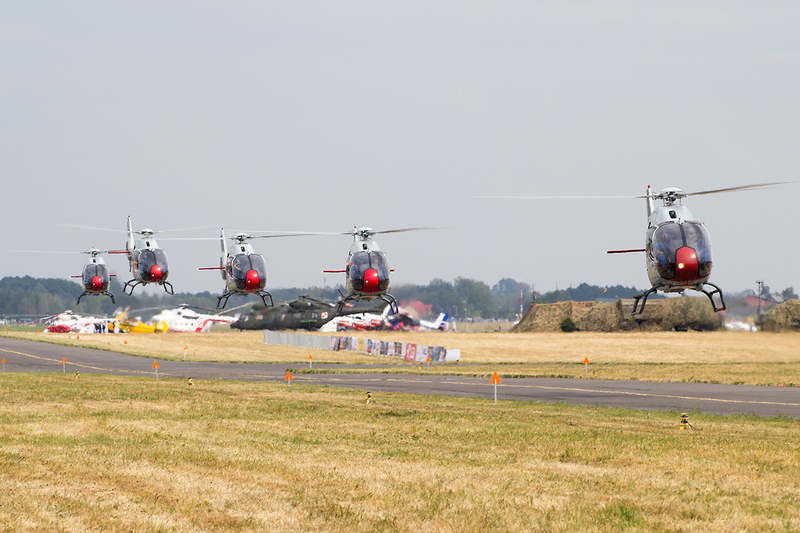 Because of Poland’s location in Europe, historical connections with neighbors and polish membership in many international alliances like NATO, Radom Air Show always was a unique place where visitors have an opportunity to see large variety of military aircraft from both sides of former Iron Curtain. 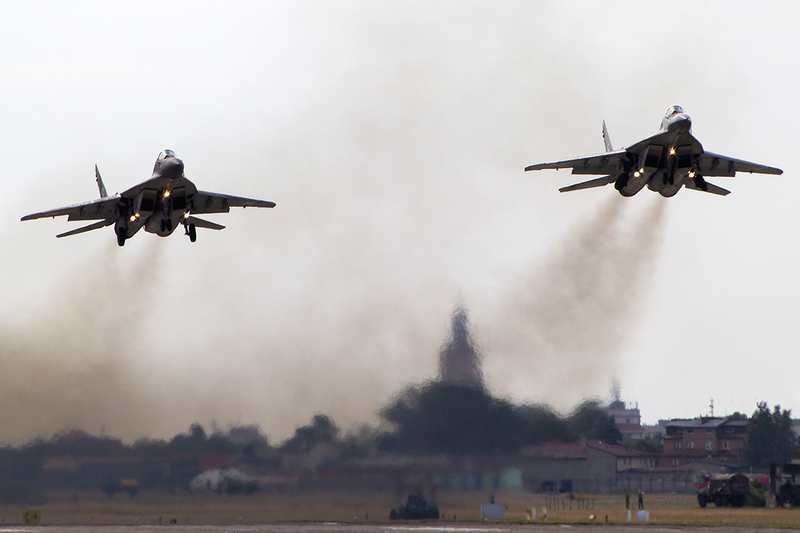 Some absolutely extraordinary flying participants visited Radom Air Show through that years such as the Israeli F-15D (the second and till now last ever participation of IAF in dynamic part of an foreign airshow), Russian MiG-29 MRCA and MiG-AT in 2003, an F-15 West Coast Demo Team in 2007 (last display in Europe), Belarussian Su-27 in 2009 (their first and last participation in foreign event except static display in Russia), Ukrainian Su-27 in 2013 (1st foreign display for them since 2005) or Romanian MiG-21 in 2013 and 2015. 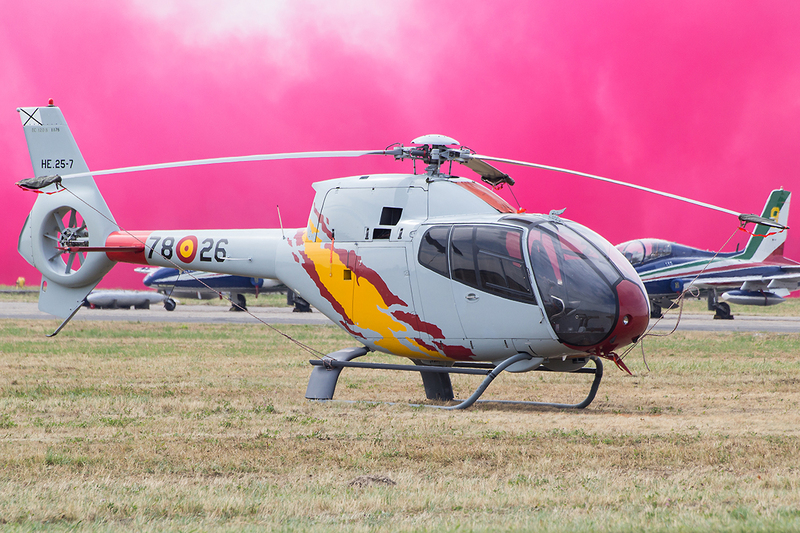 This very rare participants are of course supplemented every time by Polish AF demos and the finest performers from all over Europe. 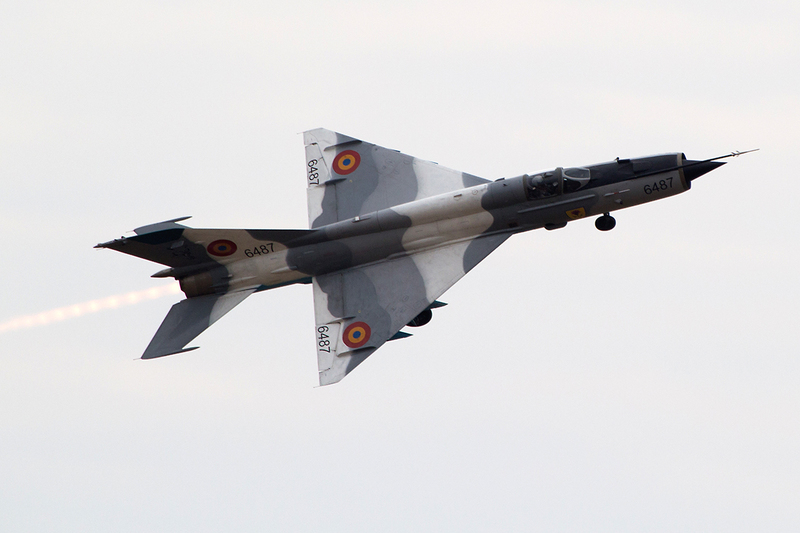 The 2015 Radom Air Show was no exception. 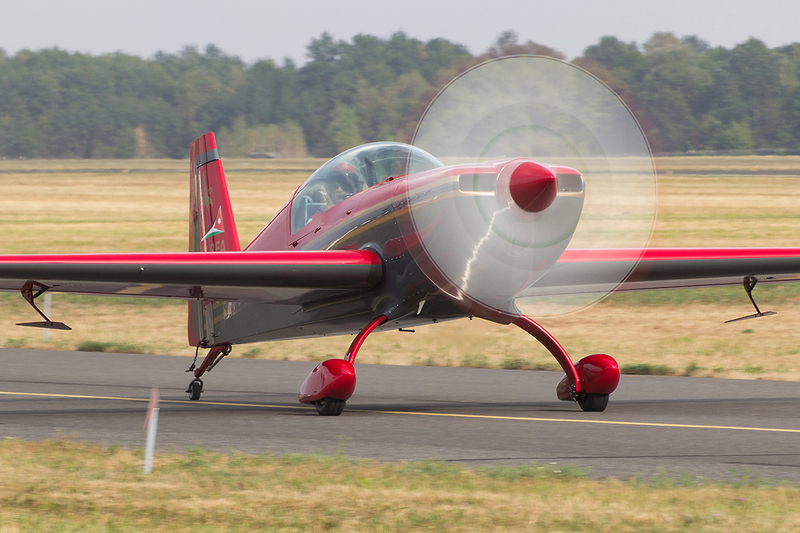 Like with many air shows, the public area at Radom Airport is not ideal for photography. 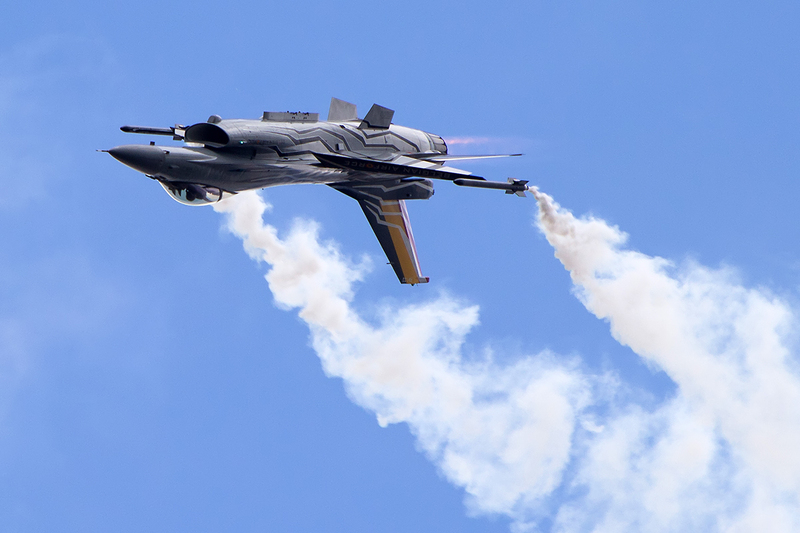 Visitors are facing the sun almost the entire day, but in the late afternoon, once sun is to the right, there are some nice possibilities for shots in the air. 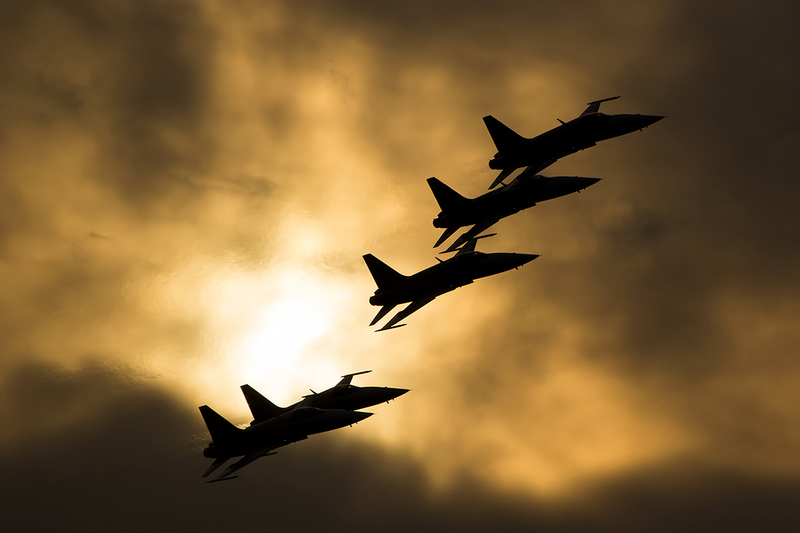 Generally best photo spots are located outside the base with sun behind back. But, for regular visitors and video makers (because of clear view for whole display) we recommend stay in public area or at least use both official and non-official outside photo-spots. 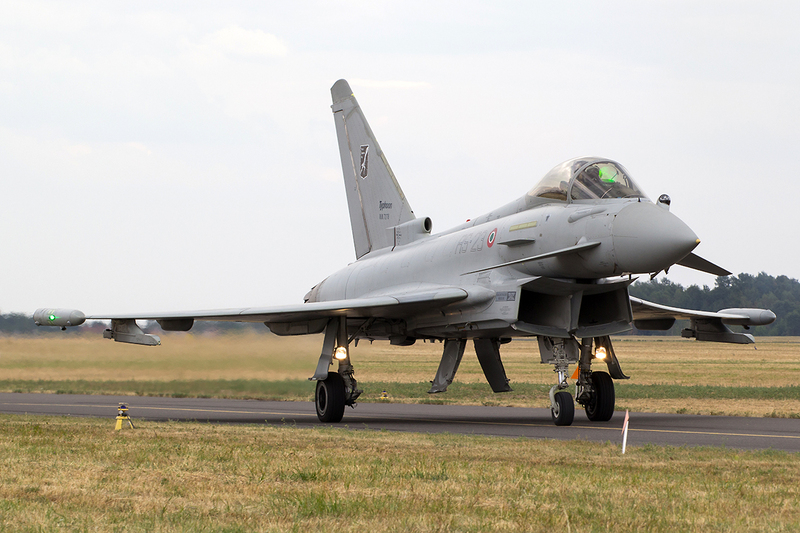 The advantage of staying on the airfield itself is the possibility to catch most of aircraft taxiing by at a close distance. 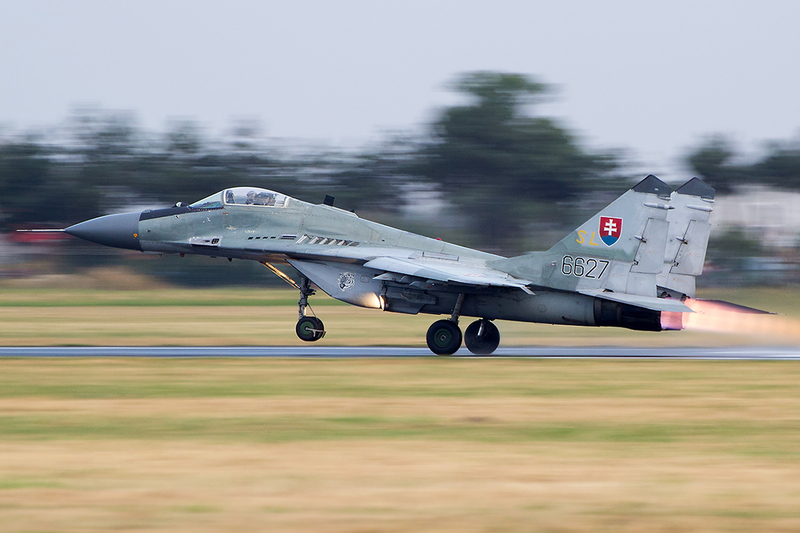 The weather for the 2015 Radom Air Show was disappointing for photographers. 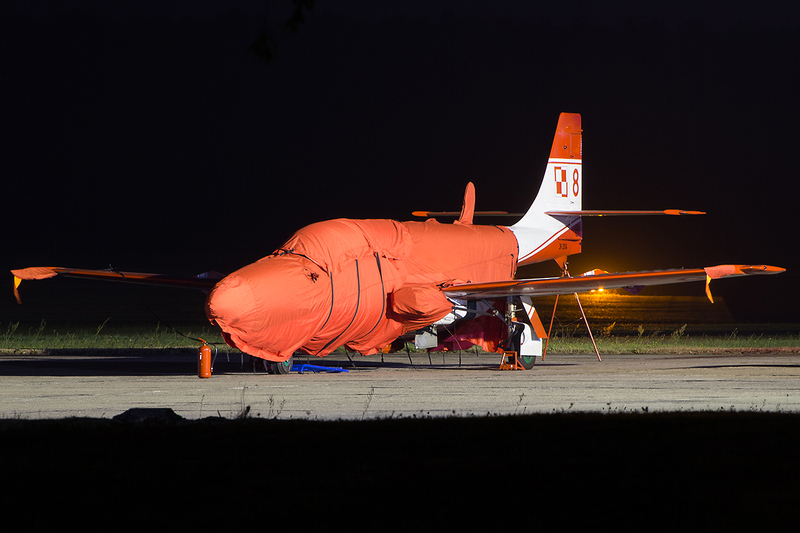 With the exception of arrival and departure days, and a 2-hour block after small rainfall on Saturday, the lighting conditions were far from perfection. 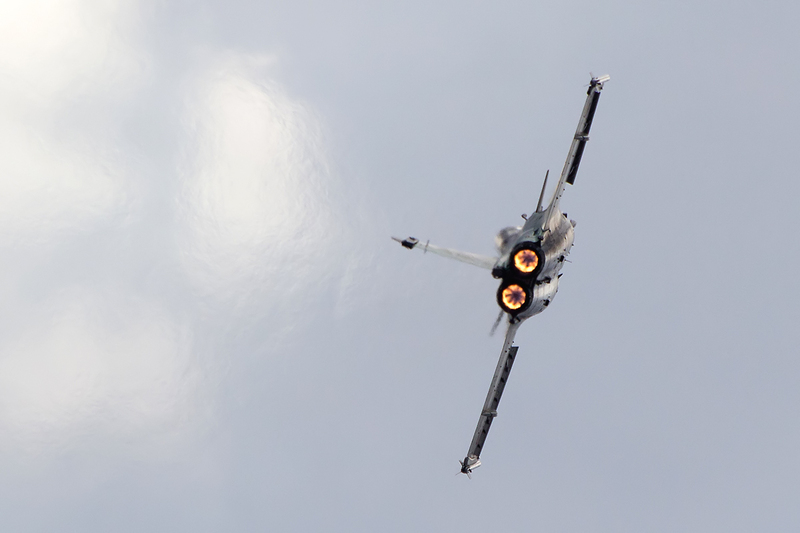 For most of the day clouds covered Radom’s sky and it caused the grey background on the photos which looks unattractive. 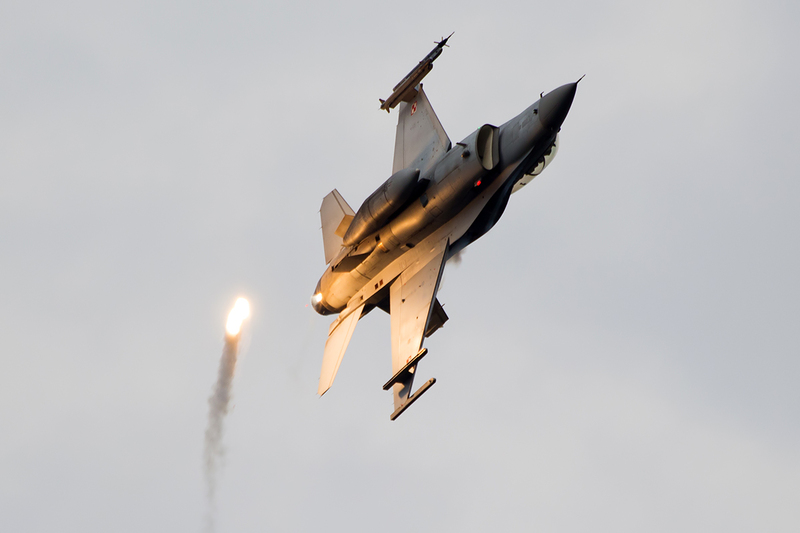 Since the 2013 Radom Air Show, organizers have been offering a special “photographer’s platform” for spotters and photographers. 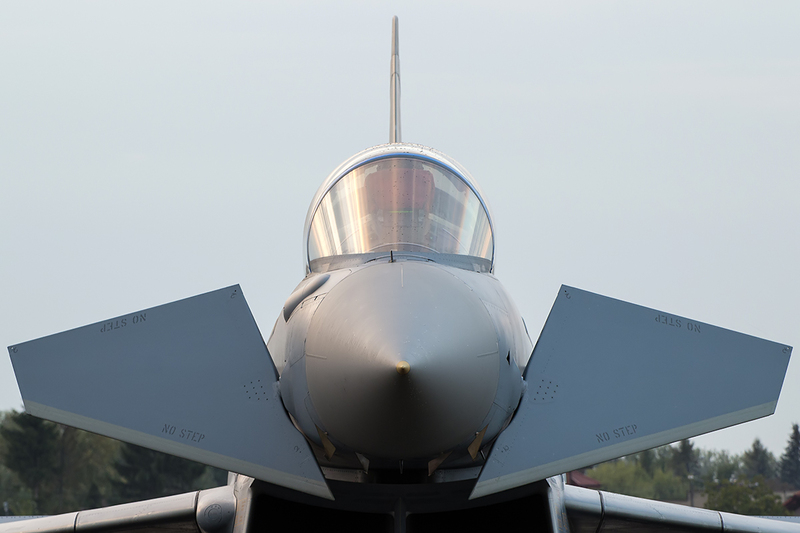 This platform provides an opportunity to photograph from prime location with a viewing platform from Friday’s rehearsals to Monday’s departures. 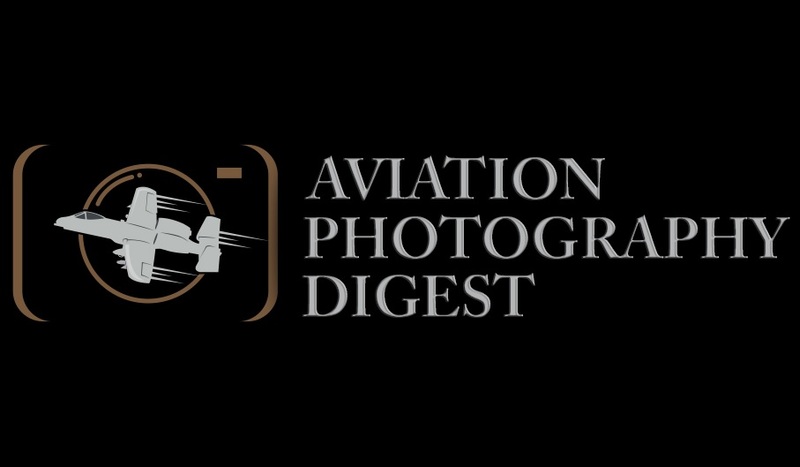 Even at this location photography can be challenging due to the lighting conditions. 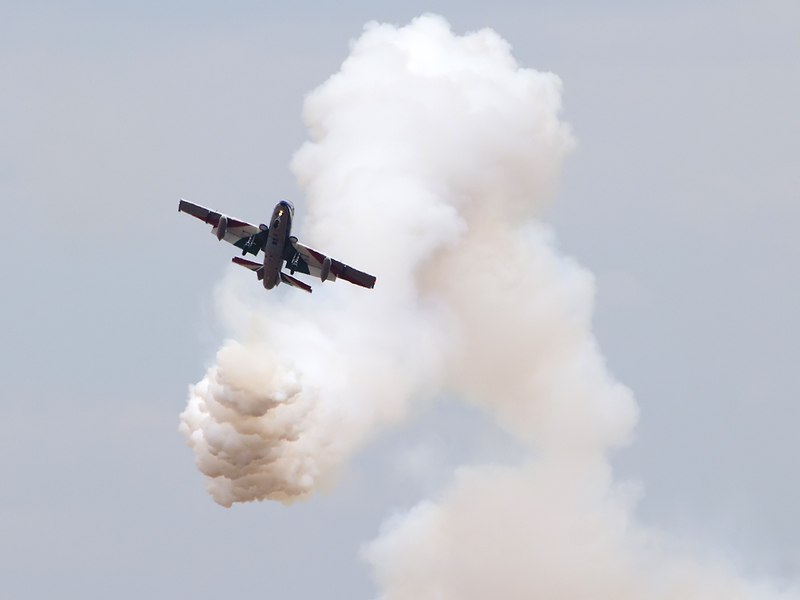 The variety of static displays is another selling point of the Radom Air Show. 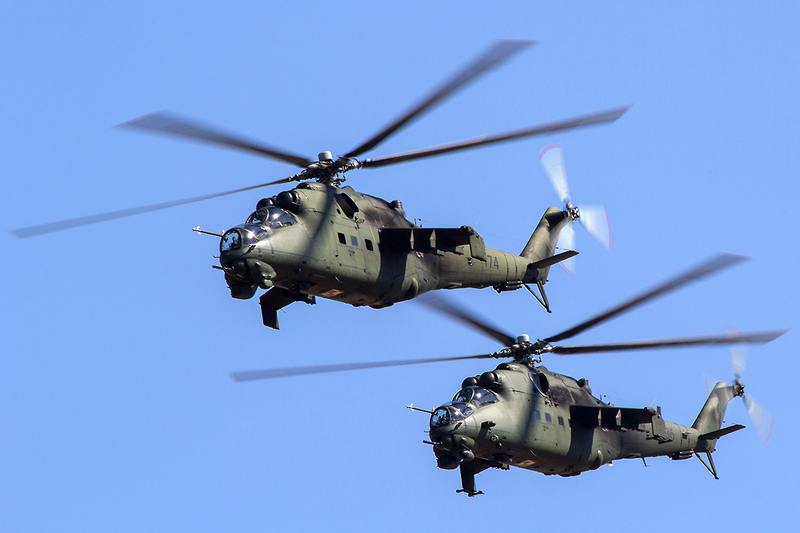 It’s always a great occasion to photograph a great variety of aircraft, from helicopters, small propellers to transport aircraft and jets. 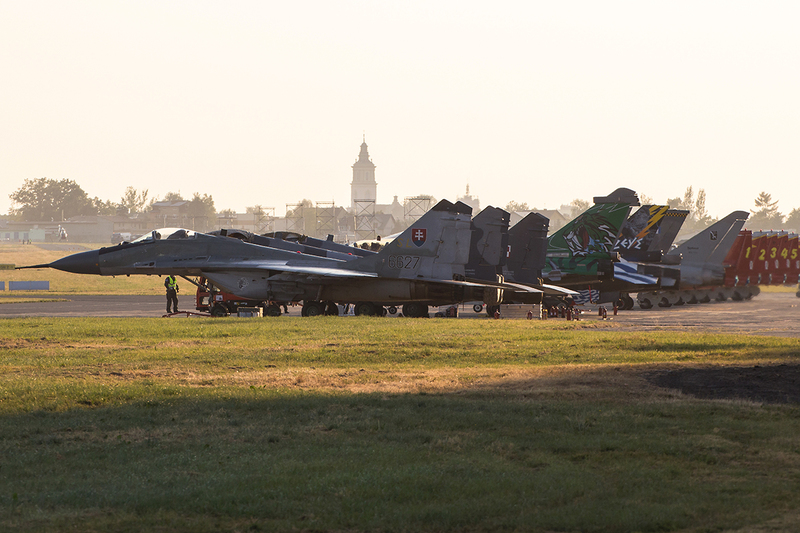 All aircraft were located on the different parts of the airfield and most of them were accessible to everyone to take photos from various perspectives. 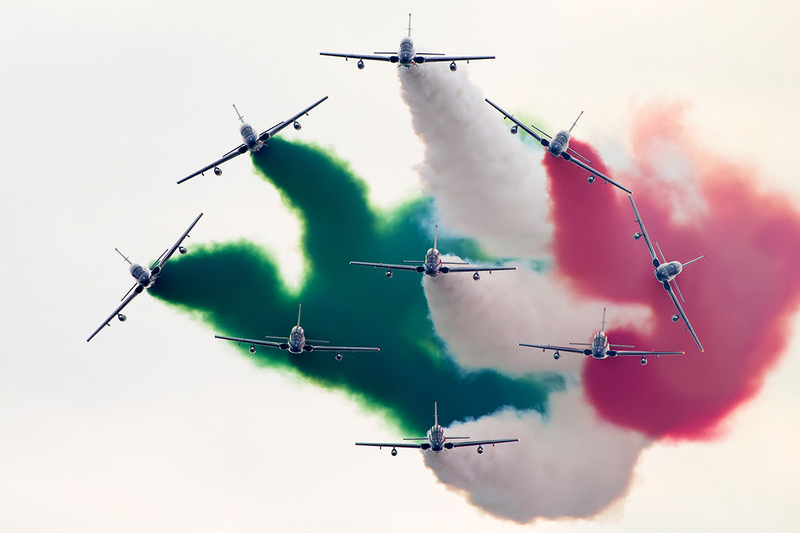 FrecceTricolori presenting a new maneuver: “Scintilla Tricolore” (Tricolored Spark). 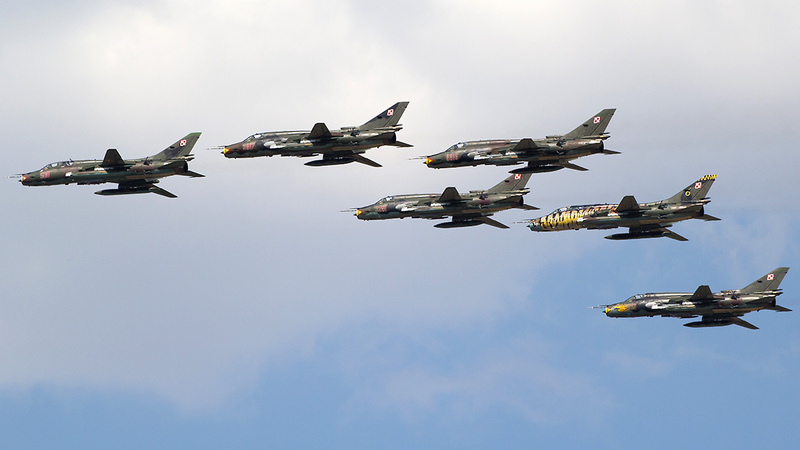 The main theme for the 2015 Radom Air Show was the “75th anniversary of Battle of Britain”, in which many Polish pilots had a big contribution. The only aircraft for that period were a privately owned Tiger Moth and Auster, unfortunately there was no Hurricane or Spitfire. 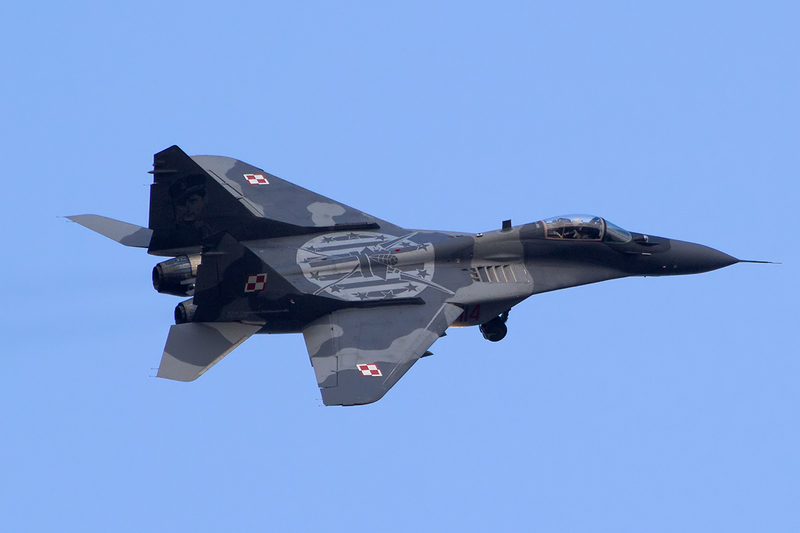 The Polish Air Force celebrated this anniversary only through special painting on MiG-29 # 4105 (22nd Air Base – Malbork) dedicated to most successful polish ace of WW2 – Stanisław Skalski on static display and a portrait of another polish ace Eugeniusz Horbaczewski on a tail of second MiG-29 #114 (23rd Air Base – Mińsk Mazowiecki) for dynamic display. 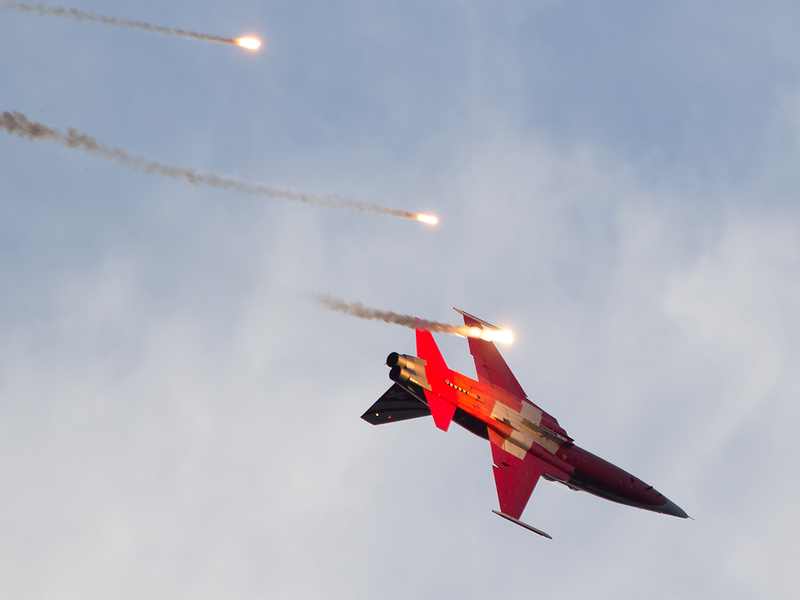 Polish Air Force F-16 during CAS (Close Air Support) demonstration with flares. 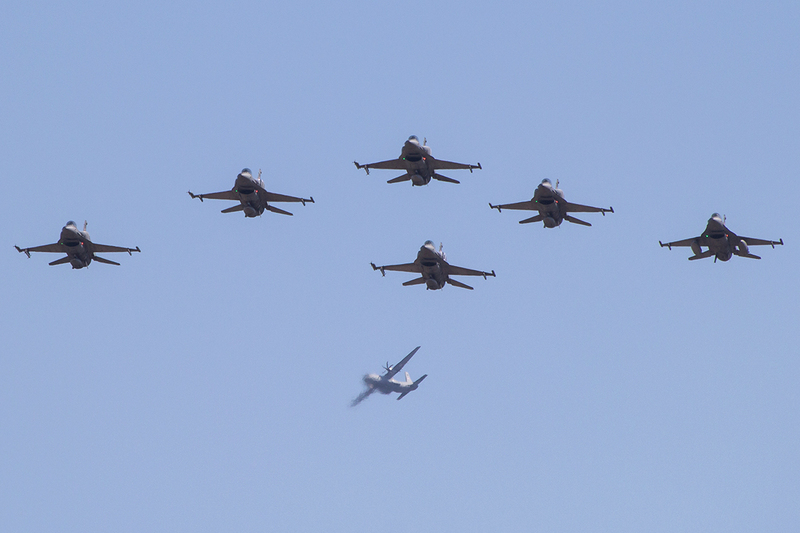 A massive fly-past, showing almost all planes and choppers that Poland has in their inventory, kicked-off the official part of a show on both days. 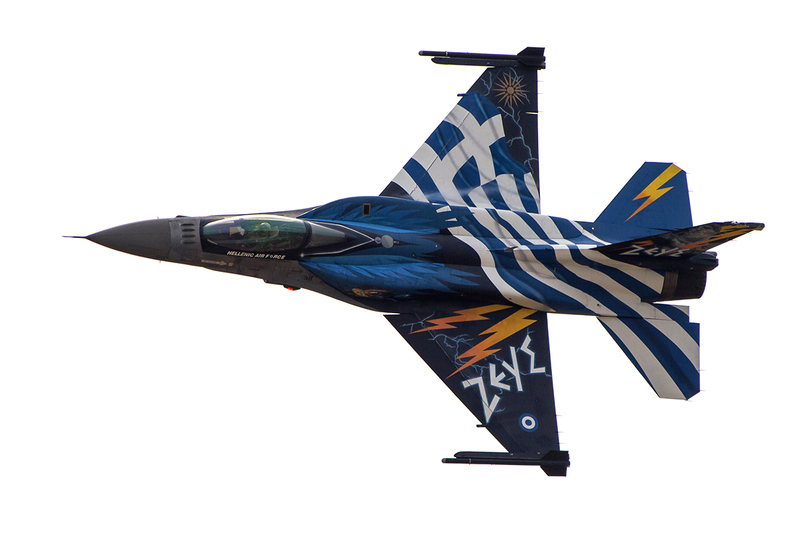 For next 7 hours after that, it was a non-stop spectacular show. 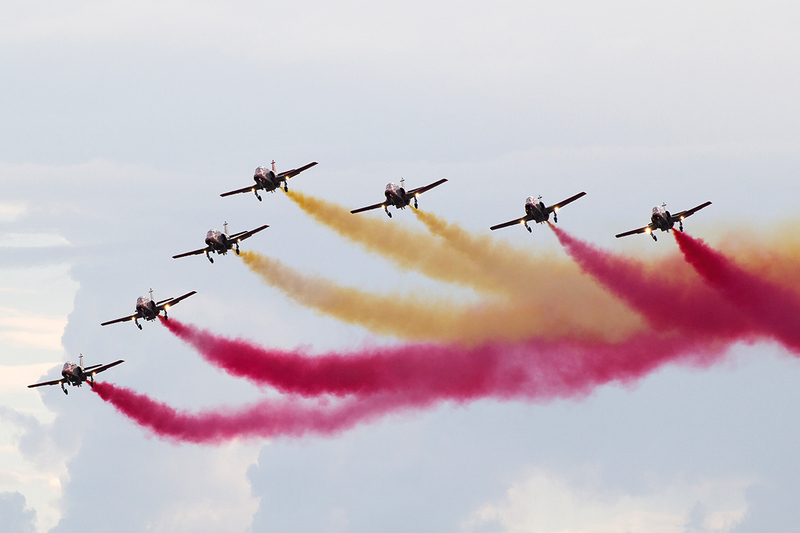 Fortunately, the clouds were high enough for clear visibility of the higher altitude performances (except Patrulla Aguilla on Sunday because of short rainfall). 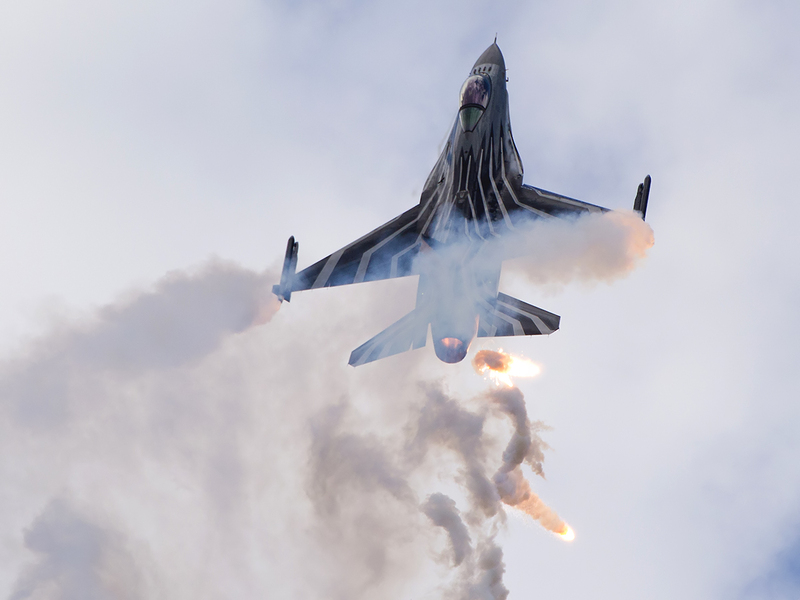 Radom’s list of aerial performances was long, as always, and includes : 2 F-16’s solos (Belgian and Greek), 2 MiG-29 (Polish and Slovak), French Rafale, Italian Eurofighter, Romanian MiG-21, Polish Su-22 role demo, Close Air Support demo with pyrotechnics performed by Polish Su-22 and F-16’s, Austrian PC-7, Czech L-159 ALCA, Czech (solo) and Polish (in pair) Mi-24, Polish Sw-4 and 3-ship of W-3 tactical demonstration. 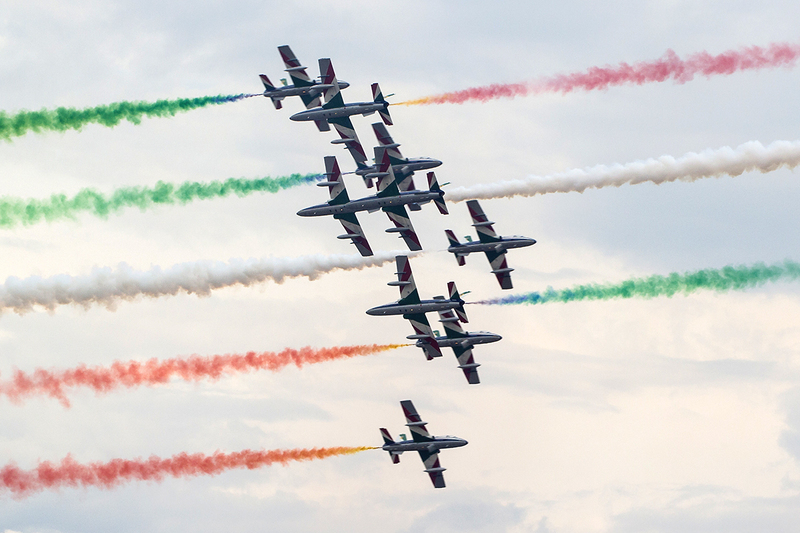 Multiple acrobatic teams visited Radom: Patrulla Aguilla and Patrulla Aspa from Spain, Italian Frecce Tricolori, Patroullie Suisse from Switzerland, Latvian Baltic Bees, Royal Jordanian Falcons, Baby Blue from Denmark and local crowd favorites Biało-CzerwoneIskry (White and Red Sparks from Dęblin) and Team Orlik, for which Radom is their home base. 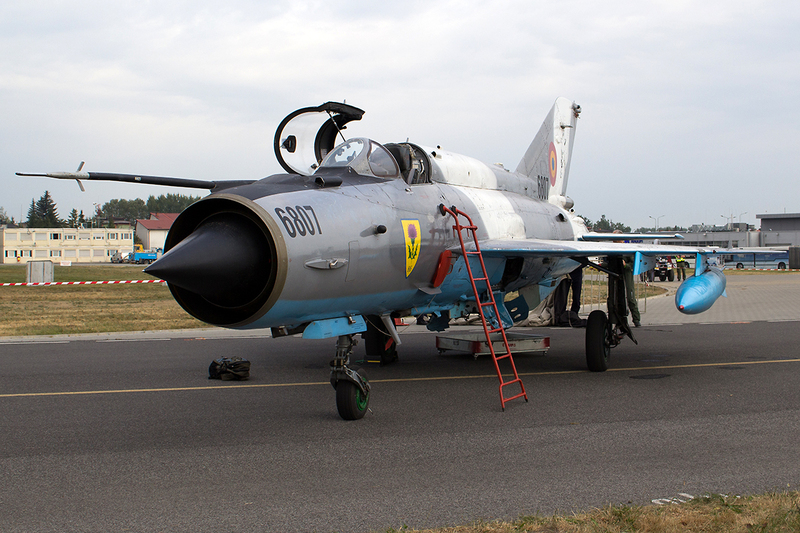 The Radom Air Show also had a small producer exhibitions like in big trade shows. 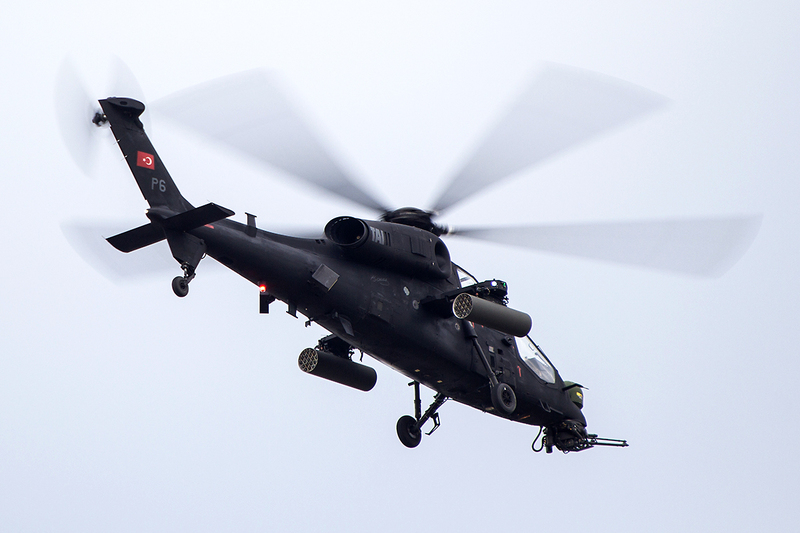 For the 2015 show, visitors had a unique opportunity to see a demo of the Turkish T129 ATAK. 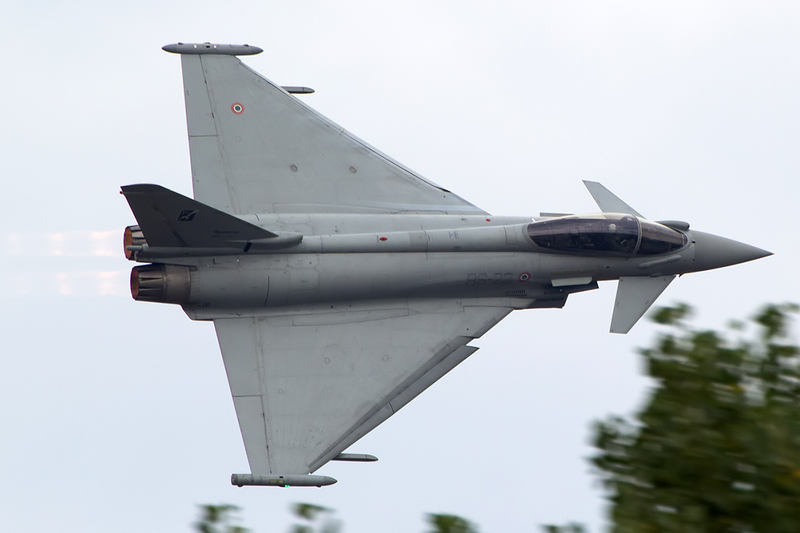 The finest displays came from the newest fighters – the French Rafale and Italian Eurofighter, but, unfortunately, they flew during the worst light conditions on both days. 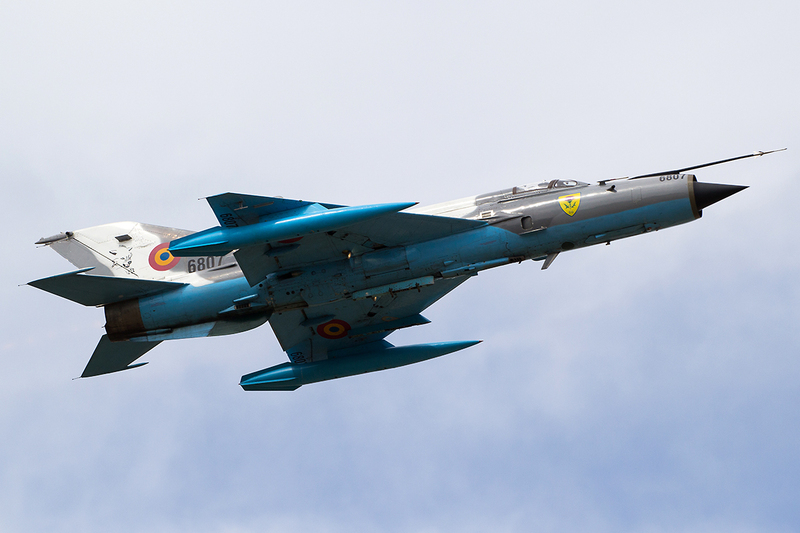 A Romanian MiG-21 put a very fine display showing the real beauty of this extraordinary machine. 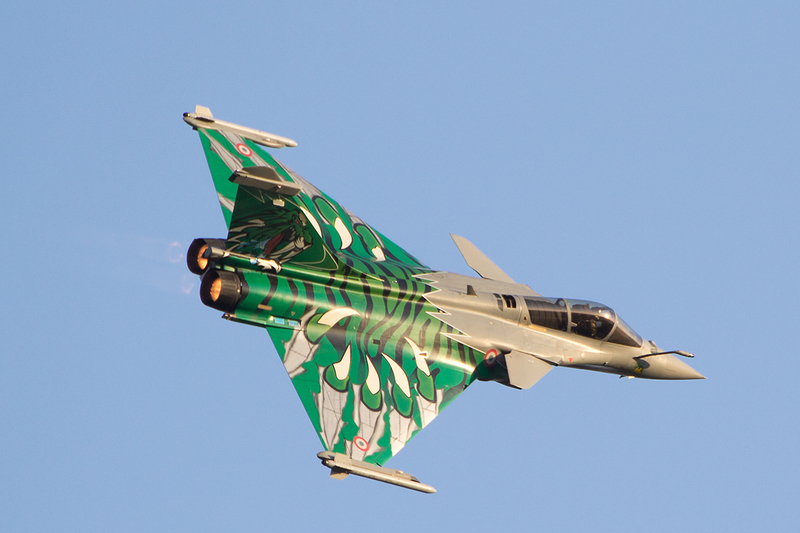 Nowadays, it’s an extremely rare plane on the European airshow circuit. 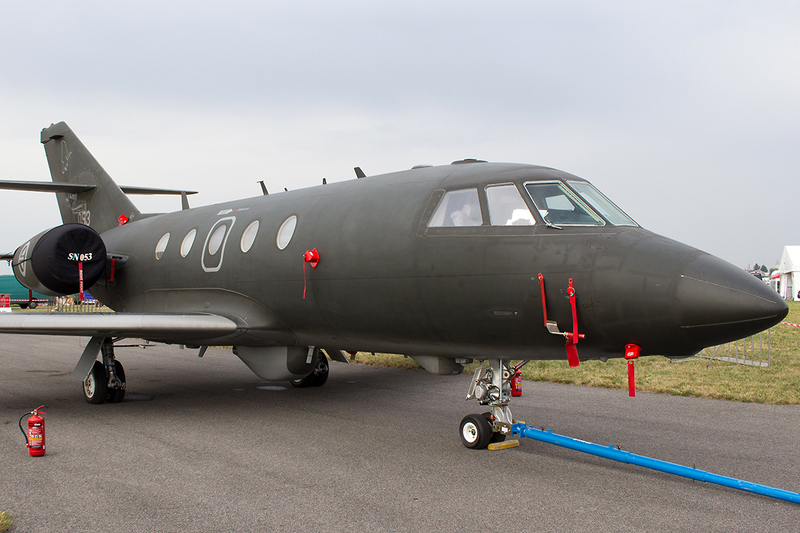 A second Lancer-C was on static display. 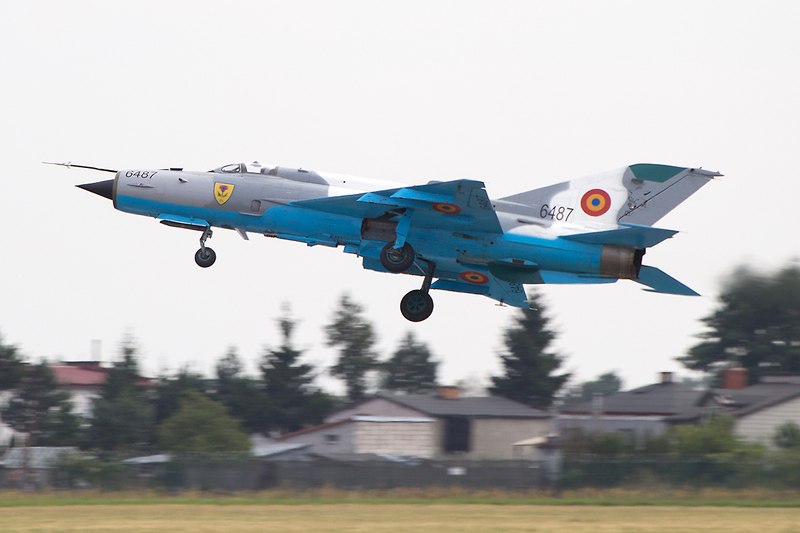 Another old “Soviet” aircraft comes from Polish 21st Air Base in Świdwin. 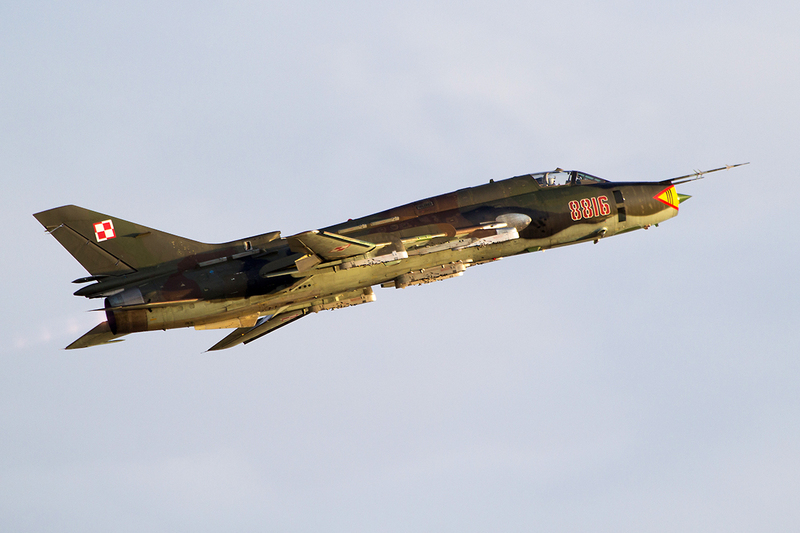 A pair of Su-22s performed a nice tactical demo, showing combat capabilities of Fitter, and showcased some light acrobatics. 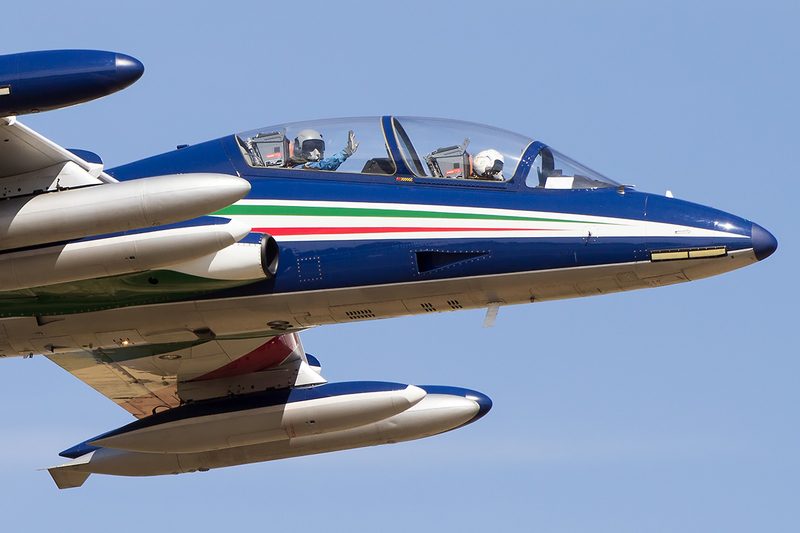 That was also one of the last opportunities to see this machines in their classical livery, because now, during overhauls, they are painted for standard grey skin, which is unattractive. 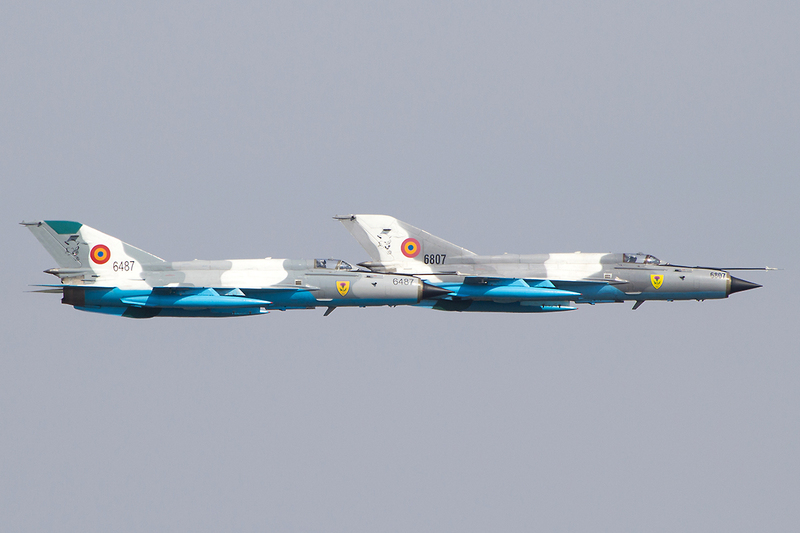 They were also only performer (except flypast and CAS demo) which didn’t take-off from Radom, they departed from nearby Mińsk Mazowiecki. 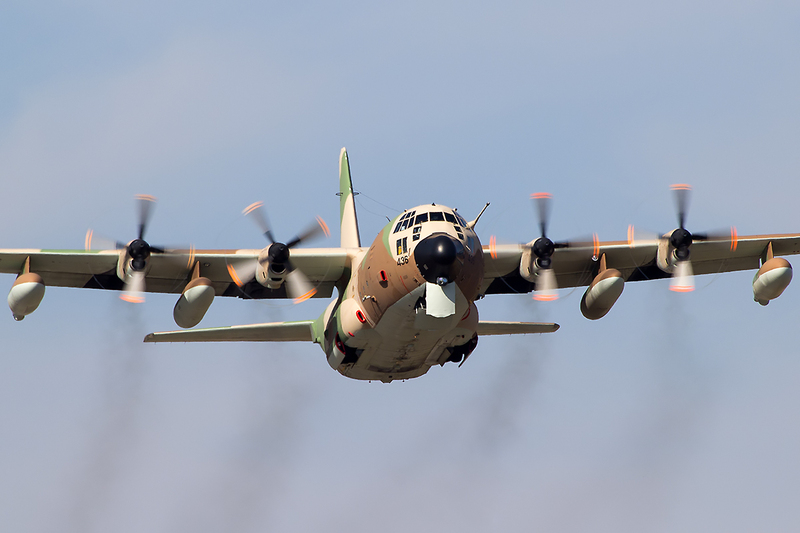 Another very rare item in a static display comes from Israel – a C-130 Hercules in MEDEVAC configuration. 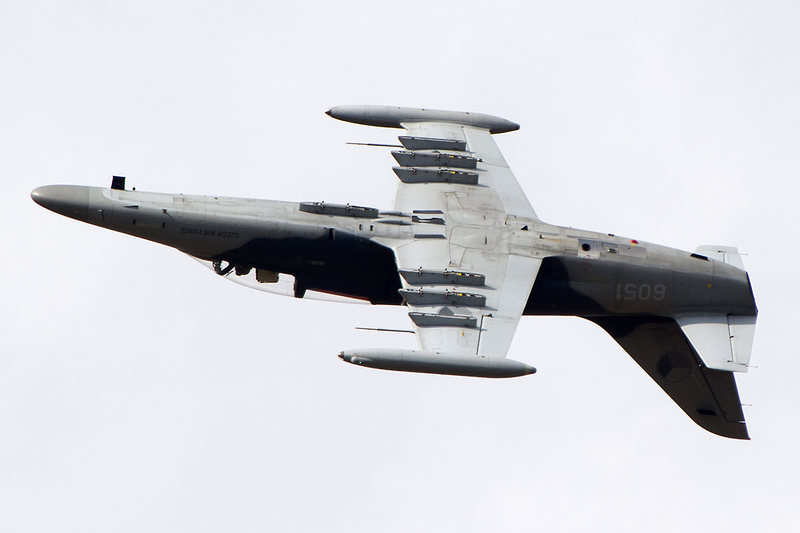 Interestingly, this particular plane didn’t have any identification markings. 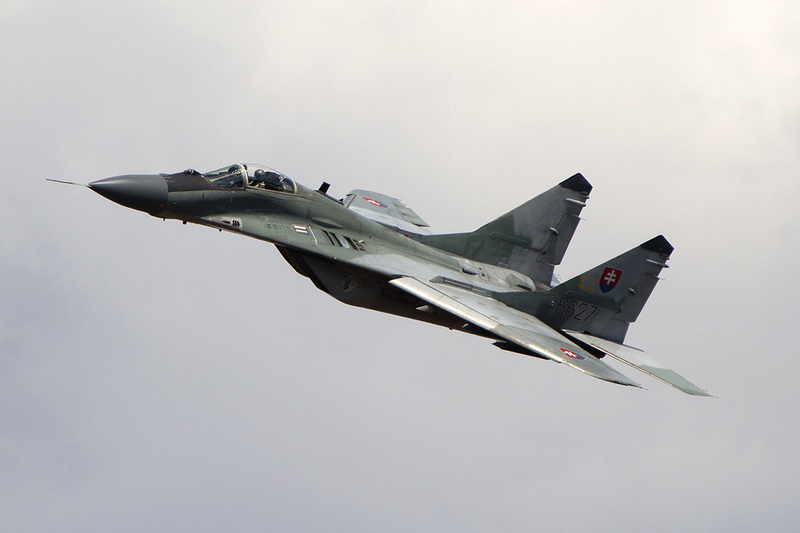 The infamous Polish MiG-29 routine, including a tail slide, was very good again, but because of the addition of a fuel tank, it lost a little bit on dynamics in comparison to the previous air show’s demo. 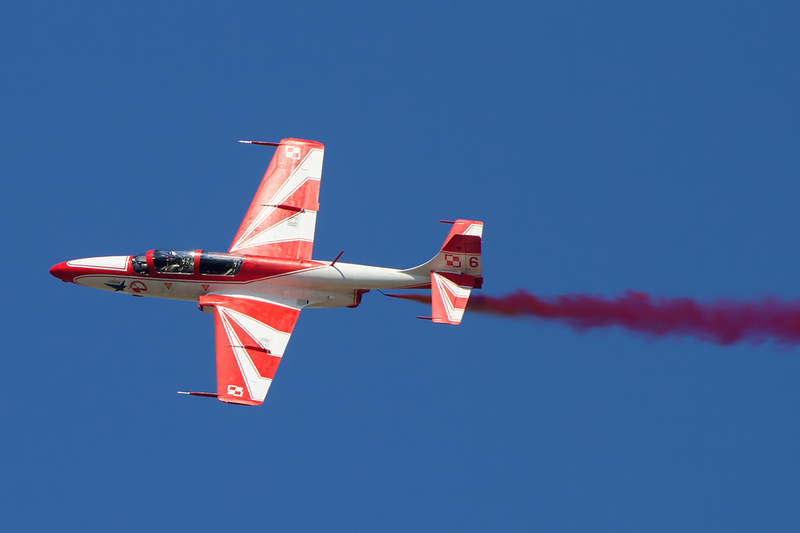 Radom is home base for Team Orlik. 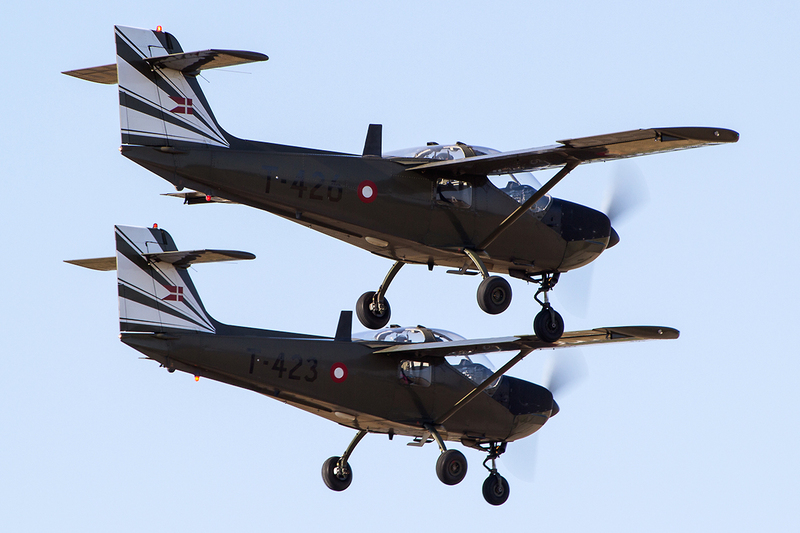 * The table does not include the Polish civilian aircraft which were on display before the official start of the show. 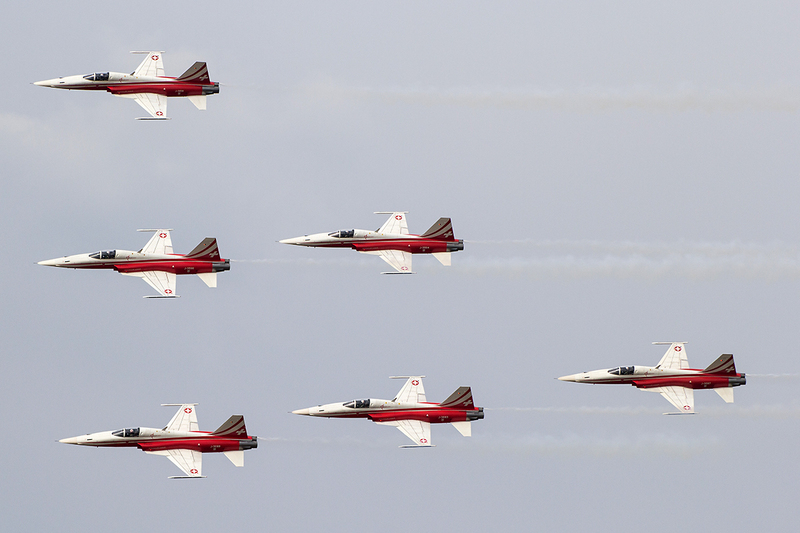 The 2015 Radom Air Show had a strong line-up of participants and, despite the weather, we are sure that every visitor was fully satisfied. 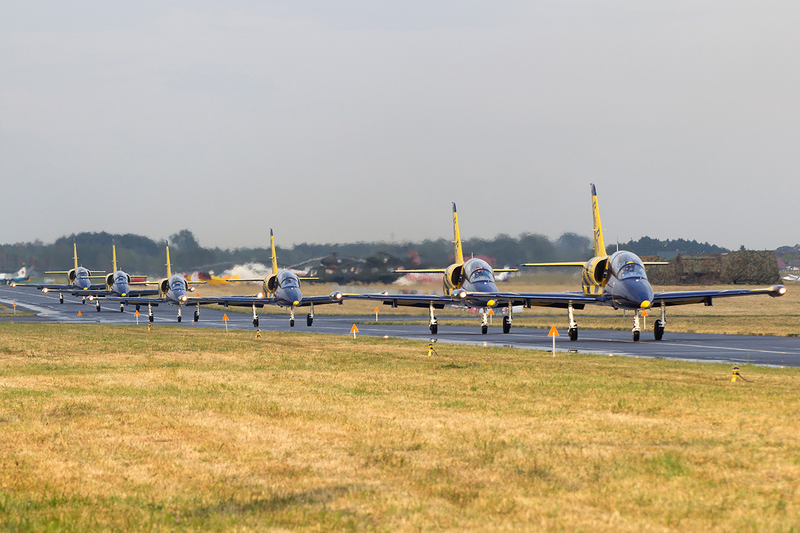 For two air show days, the Radom Airport hosted about 180,000 people who were able to watch more than 250 aircraft from 20 countries. Paweł is from Radom, Poland. 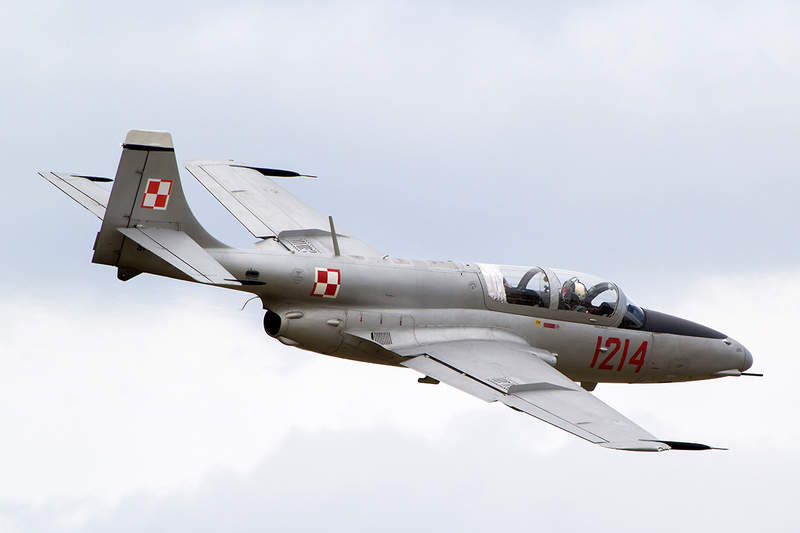 Currently he studies aviation in National Defence University of Warsaw. 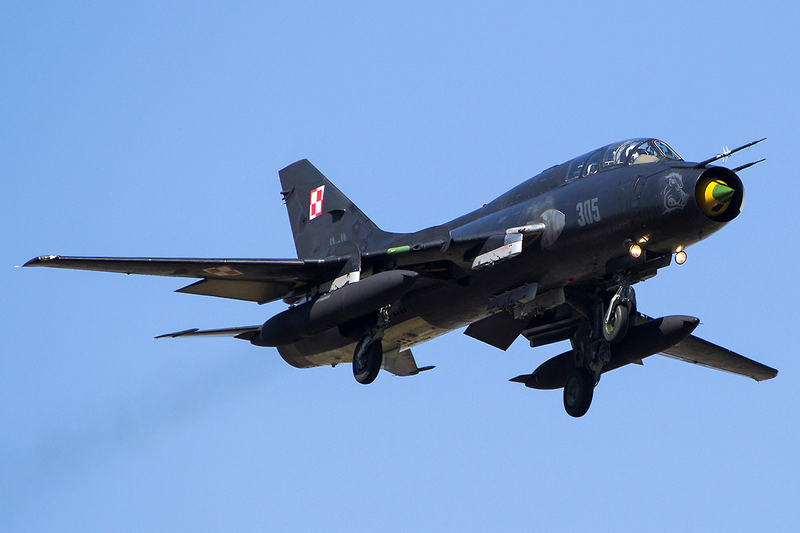 He is living near to the Radom Airport, well known because of a big International Airshow which takes place there. 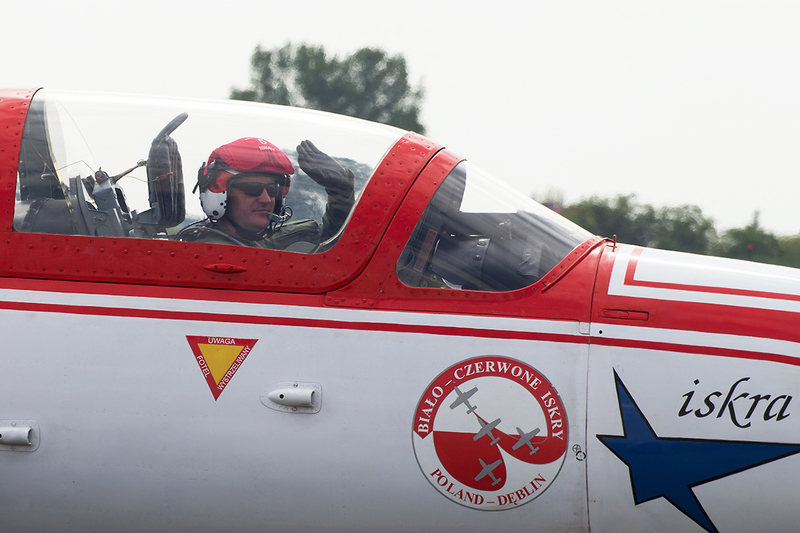 From early childhood he got an opportunity to enjoy displays from world best pilots and see great variety of aeroplanes from both sides of former Iron curtain. Paweł’s interest in video filming began when he was 16 years old when he received his first Panasonic camera. 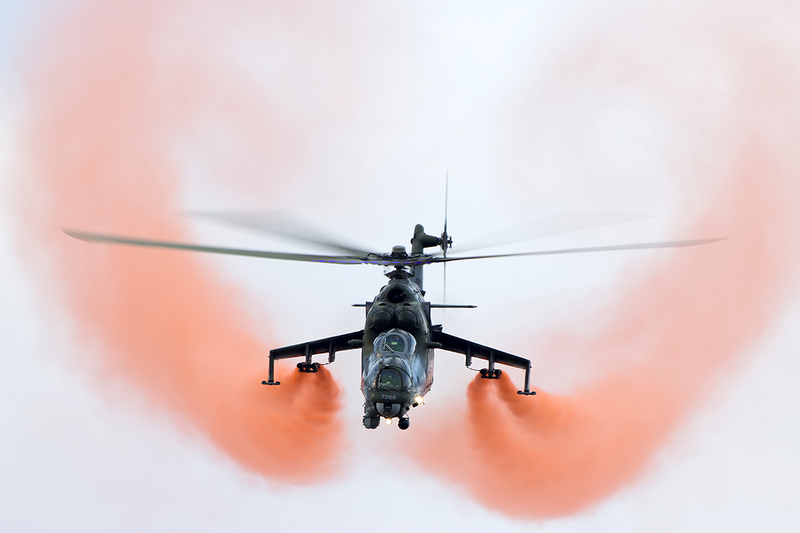 Nowadays he uploads his works from Airshows and Polish military bases in YouTube (PW Aviation Video). In addition he is interested in craft beer and history.